The bleazy was this big. Globalist scaremonger Macca possibly on the wacka bacca gets all walrus about climate change. 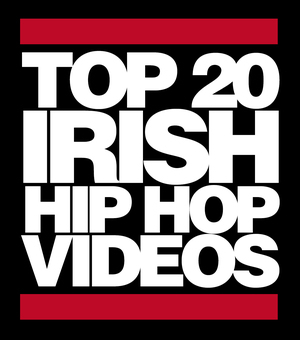 Posted in Misc and tagged Decent Irish Rap, Paul McCartney, vegetarian at 3:43 pm on September 22, 2014 by Admin. His dye job is much improved since his Heather days. Such a shame, really, when you think about it. It’s a fact that the meat/animal product industry is one of the biggest (if not the biggest) causes of environmental destruction on the planet. But when I see/hear Paul McCartney I just want to eat bucket of fried chicken, while wearing a fur coat and sitting on a leather chair. Over population by humans is the biggest contributor to global warming and in tow our over consumpion of non renewable energy farming livestock is way down the list and does sir Paul know that to end pollution from animals it means we would have to kill them all off? I agree, over-population somehow slipped my mind haha. But the animal product industry isn’t as far down the list as people think. When you factor in destruction of forests for grazing, pollutants from production and transportation of meat/products/fertilizer/vet products/feed/ hay/silage/equipment, add the methane farm animals produce it’s pretty high up there. And to think a lot of it ends up in the bin. he’s worried about methane yet he advocates us eating brussels sprouts and cabbage? Thousands of millions of humans. An estimated 50 billion chickens at any one time. How many hundreds of millions of engines are running each day? To scale, if we imagine the earth as the size of a basketball, the breathable atmosphere is thinner than a sheet of paper. 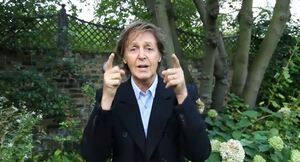 He has the Michael J Fox parkinson thing downpat though…..
Fab macca wacky thumbs aloft. If I had a ‘get out of jail free’ card, he would be the first to die. He shot the wrong Beatle. Is this from a new Brass Eye episode?!? Jeez, Angela is lookin’ better now that she’s lost that weight.